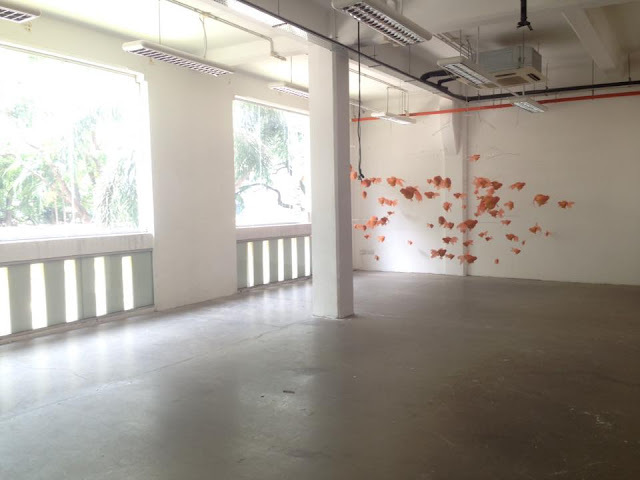 at 99 beach road Singapore.
" 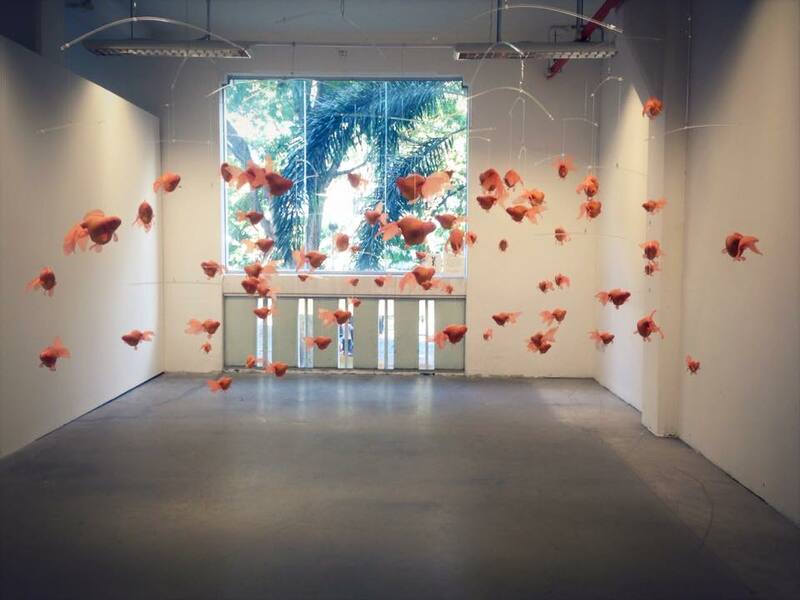 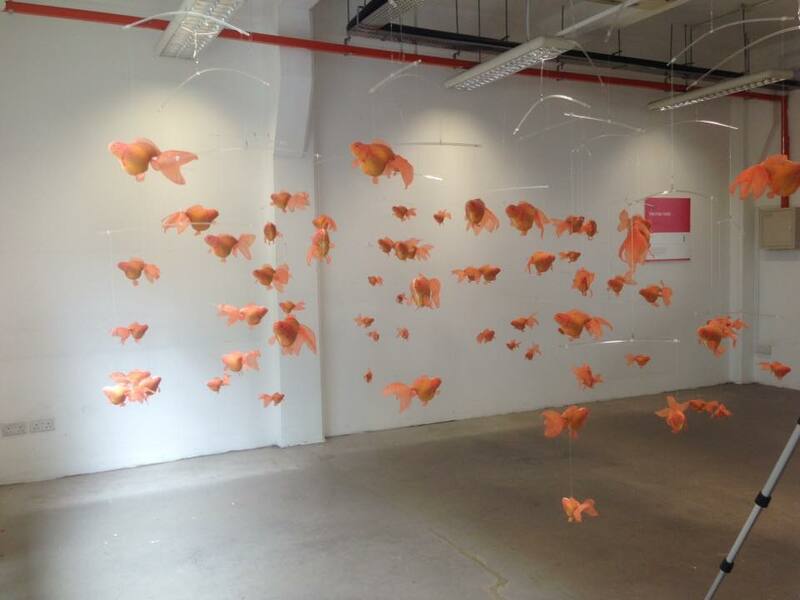 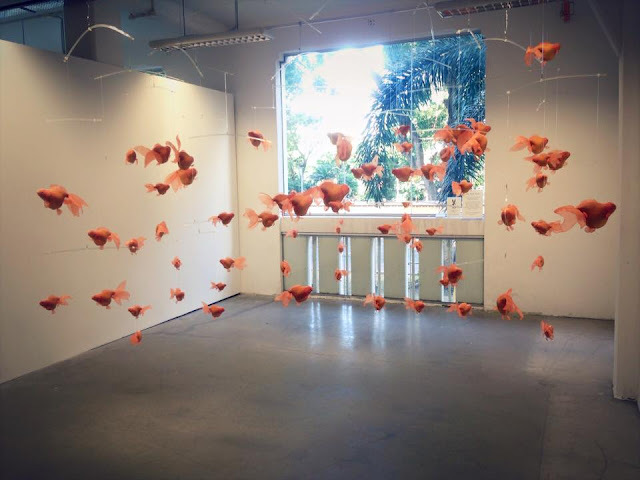 Visitor are invited to enter a fish tank filled with floating handcrafted goldfishes." 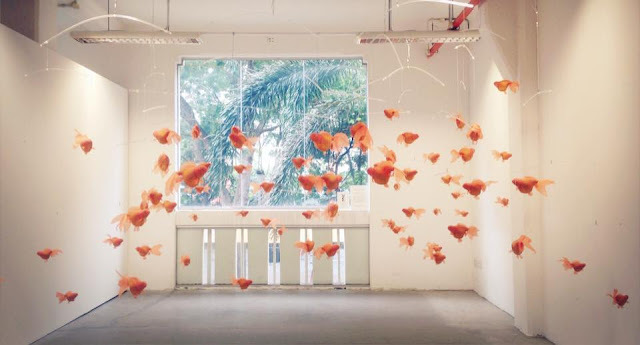 Instead of watching from the outside, the visitor can play with these "fishes". The fish tank offers a different perspective when the visitor is inside the tank, and experiences things from a different dimension.